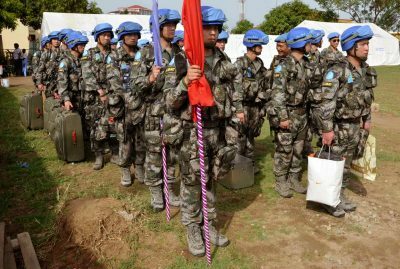 A total of 130 peacekeepers, the last detachment of China’s first deployment of a full infantry battalion for a United Nations peacekeeping mission, arrived in the South Sudanese capital Juba yesterday morning. The troops, dispatched by the Jinan Military Area Command, will join 570 compatriots already sent in the first three months of this year that are based in the headquarters of the United Nations Mission (UNMISS) in Juba. China has previously sent small, specialist units including engineering, transportation, and medical and security teams in its 25 years of participating in UN peacekeeping missions. This comprehensive 700-member battalion comprises of three infantry companies and one Supply Company. China is the biggest contributor of peacekeepers among the five permanent members of the UN Security Council and currently has more than 2,700 peacekeepers posted in the UN’s nine mission areas. The number will reach 3,100 by the end of this year. China’s first group of peacekeepers was sent out in April 1990, when military observers served in the UN Truce Supervision Organisation, which monitors and reports violations of ceasefire agreements in the Middle East. The current South Sudan deployment takes the number of UN peacekeeping missions in which China has participated to 24. These have involved more than 30,000 peacekeepers, with 10 of them losing their lives. Generally, The UNMISS military, as mandated under Chapter Seven of the UN Charter, has a role to support and assist in creating a safe and secure environment that will facilitate the implementation of the mission’s mandate and establish conditions necessary for stability in South Sudan. The UN Security Council authorised that the UNMISS military will consist of up to 7,000 military personnel, including military liaison officers and staff officers, under the leadership of a Force Commander. As at 31st May 2013, the force was comprised of 6806 troops and 146 military liaison officers, originating from a total of 56 countries. 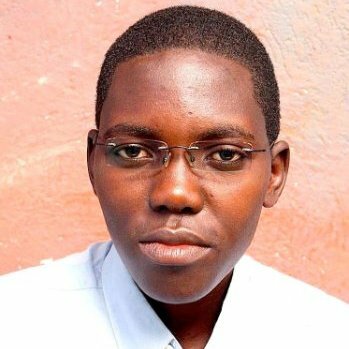 The security situation in South Sudan is characterised by inter-communal conflicts and an inconsistent but semi-active conflict with Sudan. UNMISS military operations are in line with the mission’s objective to support the government in consolidating peace and security and establishing conditions for development. To this end, the military aims to deter would-be aggressors against harming the people of South Sudan and to support the Sudan People’s Liberation Army (SPLA) and other security agencies in providing the protection of civilians. As far as possible, within its given mandate, the UNMISS military assists the SPLA by encouraging, facilitating and demonstrating professionalism in its operations.